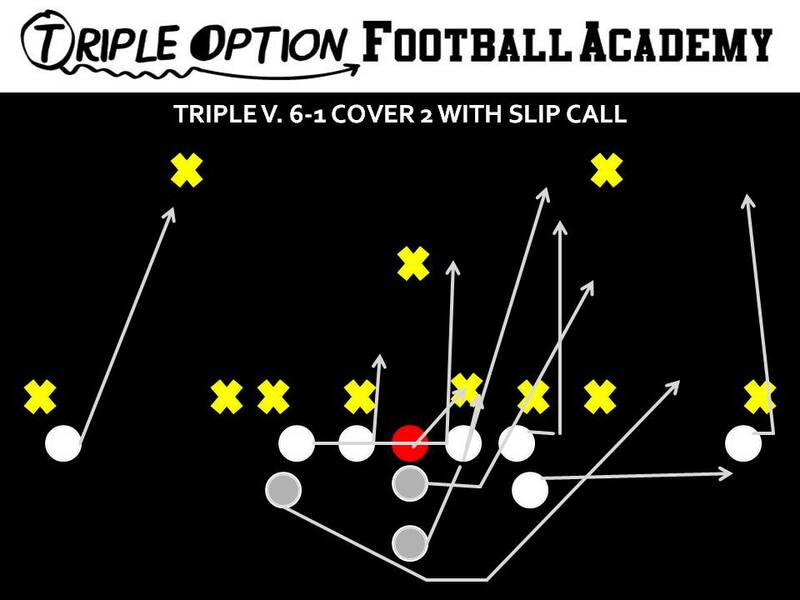 Here is the Triple Option versus a 6-1 Cover 2 Defense. The Mike is deeper than five yards, which means that he is not a threat to run through the B-gap. Thus, the Playside Tackle makes a “Slip” Call and Veers Out to block him. This overrides the Ace call, which usually dictates an inside veer release by the Playside Tackle. Triple versus 6-1 Cover 2 with Slip Call. This entry was posted in flexbone, army, navy, offense, playbook, veer on July 28, 2018 by Dr. Lou Cella.